While some might think of beaches and tequila when thinking about traveling to Mexico, there's so much more to this amazing country than that. Mexico is abundantly rich in history and culture, and is among the top culinary experiences in the world. Which is why Mexico City, or "La Cuidad de Mexico," is at the top of our list for best places to visit. Mexico City has always been the major-metropolitan hub of Mexico, but as of late it has been attracting the curiosity of those both near and far. It is regarded as one of the safest cities to visit in Mexico and has a downtown filled with numerous attractions for people to visit. This list includes our absolute must-do activities to help you plan your time in this beautiful city. This is a given, especially when visiting Mexico City. The food culture is apparent from the second you get off the plane. As you make your way around the city, you'll immediately notice a plethora of food stands or "puestos" lining the streets. With so many options it can sometimes get hard to choose. Asking a local for their favorite taco spot is always a great idea... we know from experience. Taqueria Los Cocuyos in the center of the city serves some of the best tacos you'll ever have and is extremely affordable. The Torre Latinoamericana was Latin America’s tallest building when constructed in 1956. Since than its withstood several major earthquakes including those of 1985 and 2017. Its views from the 44th floor observation deck and the 41st floor lounge are absolutely spectacular. Admission includes access to an on-site museum dedicated to Mexico City's history. However, for those visiting the bar — admission is free. Mexico City's Centro Histórico is home to museums, famous plazas, historic buildings and several tourist attractions. The Palacio de Bellas Artes is the most important cultural center in all of Mexico. Numerous cultural events are held here and it houses incredible murals by Mexican artist Diego Rivera. Just a few blocks from the Palacio is where you can find El Zócalo. It's Mexico City’s main square, also referred to as La Plaza de la Constitution. Not only is this square extremely spectacular for its massive size, but it's also a place of historic importance. It was once Tenochtitlan’s main ceremonial center. The Templo Mayor is an archaeological site constructed during the era of the Aztecs as the central temple. Being one of the most important temples of its time, it was dedicated to Huitzilopochtli (God of war) and Tlaloc (God of agriculture). Today, tourists can explore the past by visiting the Templo Mayor and the on-site museum. Coyoacán is a small district, that over the years has become the epicenter for art and culture in Mexico’s capital. Its history dates back almost 500 years and is noted for its cobblestone streets, small parks and plazas, colonial mansions, churches and many historic buildings. Coyoacán is also notable for being the place where Frida Kahlo spent most of her life. In fact, the home in which she lived in until her death is still standing. Her home, known as La Casa Azul (The Blue House), was donated by Khalo’s husband, Diego Rivera, with the intention of making it a museum in her honor. Her work (along with that of Diego Rivera) is on display, offering a glimpse inside the mind of one of Mexico's most celebrated artist. This world-renowned museum is one of Mexico's most visited tourist attractions. From the minute you enter, you'll notice its large rectangular courtyard surrounded on three sides by two-level exhibit halls. 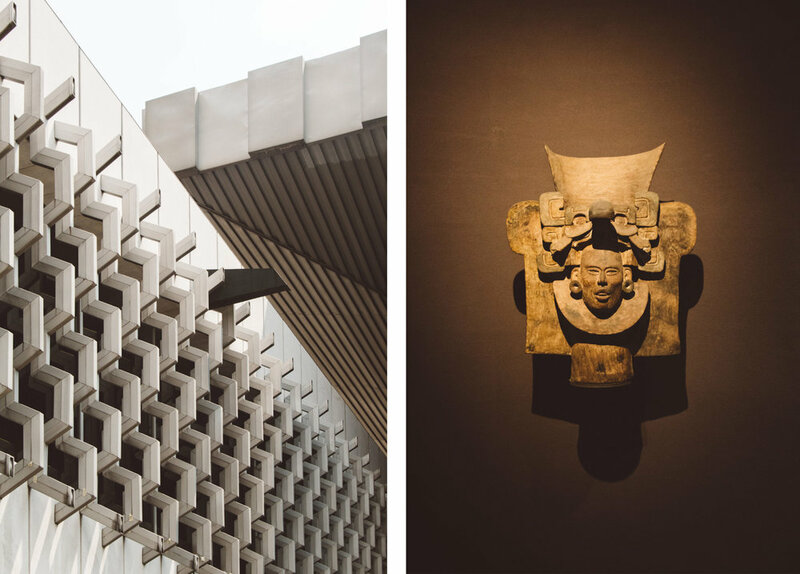 The 12 ground-floor exhibits are dedicated to pre-Hispanic Mexico, while the upper-level is dedicated to how Mexico’s indigenous descendants live today. 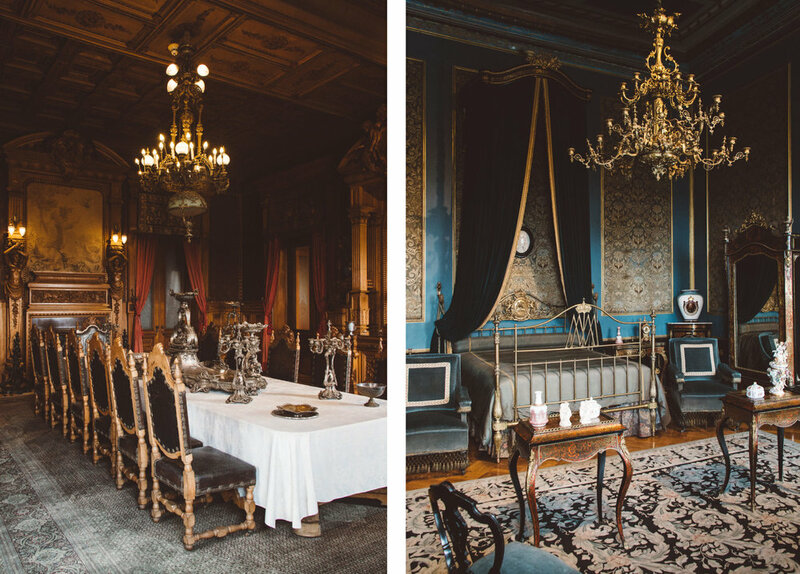 Chapultepec Castle (Castillo de Chapultepec) is a beautiful historic castle perched high above Mexico City. It was designed in the 18th century as a country home for the local Spanish viceroy, but has since served many functions. Including as a military academy and a presidential palace. Today, its preserved interior is open to visitors and also houses the National Museum of History. Learn about the story behind the castle as well as the history of “New Spain” and Mexico’s struggle for independence. The Basilica of Our Lady of Guadalupe is a Roman Catholic church, basilica and National shrine of Mexico. The shrine was built near the hill of Tepeyac where Our Lady of Guadalupe is believed to have appeared to Saint Juan Diego Cuauhtlatoatzin. This site is also known as La Villa de Guadalupe, as it has several churches and related buildings. This is one of the most important pilgrimage sites of Catholicism. Surrounded in mystery, is a place that experts all over the world are still trying to understand — Teotihuacan. It’s one of Mexico’s largest, and most mysterious archaeological sites. With the third largest pyramid in the world being found here, a visit to the pyramids of Teotihuacan is a trip not to be missed. Xochimilco is also a little off the beaten path, but the effort to get here is worth it. Here, you'll have the opportunity to float along a huge network of canals on a trajinera (traditional flat-bottom boat). For decades, locals and visitors have enjoyed the tradition of renting a boat and captain for a few hours of leisure and sometimes debauchery. Sites include other trajineras loaded with snacks, drinks, souvenirs, and mariachis. Whose music can be a heard up and down the canals. This is one of Mexico City’s most ritzy upper-class neighborhoods. It's packed with high-end hotels and shopping malls as well as important theaters, art galleries, and museums. It is also home to some of Latin America’s best restaurants; like Pujol and Quintonil, as well as a number of posh bars.